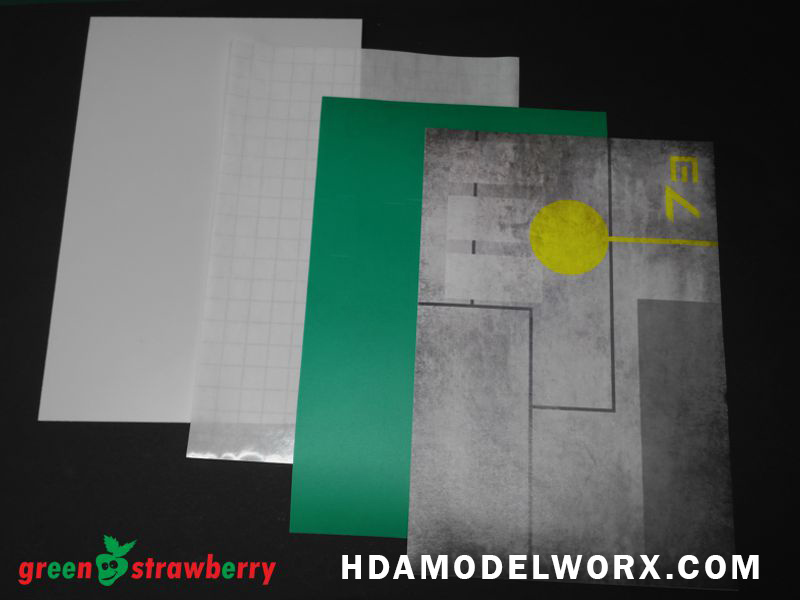 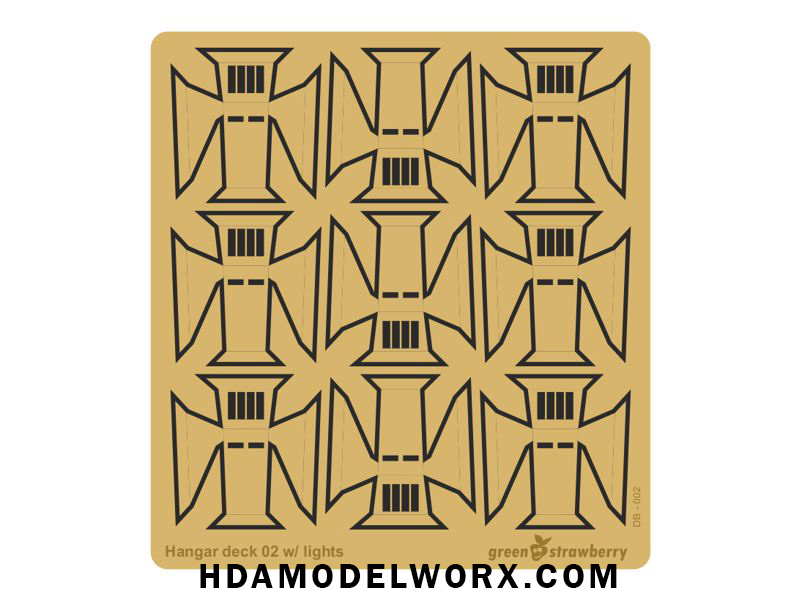 This is the NEW HANGER DECK #2 diorama kit that is as easy as one, two, three from Green Strawberry! 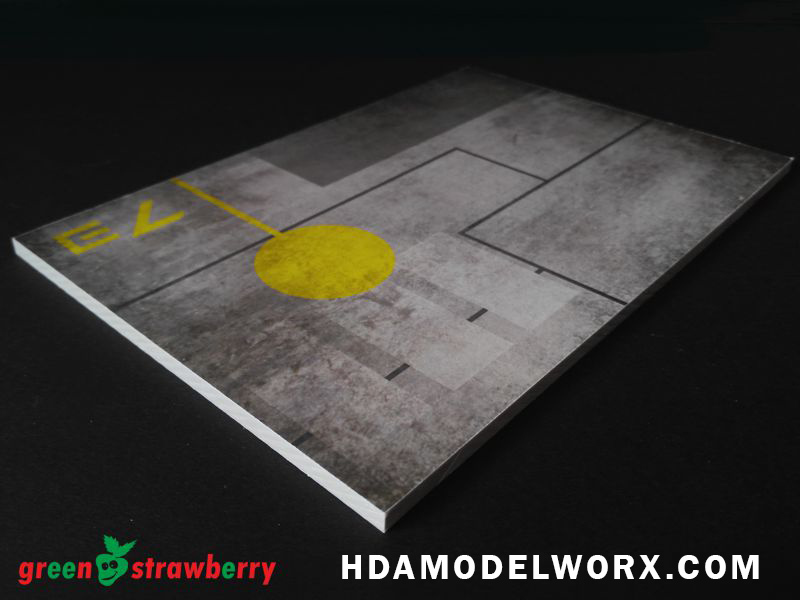 Comes with a photoetch fret for floor flood lights, plastic base plate (sheet), pre-printed color adhesive diorama floor graphic sticker, transfer foil (tape) and paint mask for the floor markings. 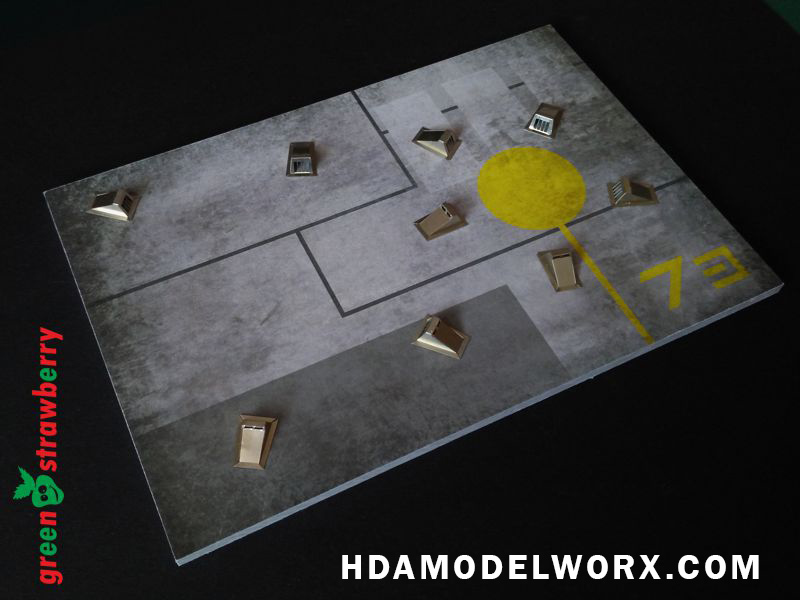 This kit is perfect for any model display where a hangar type floor is needed. 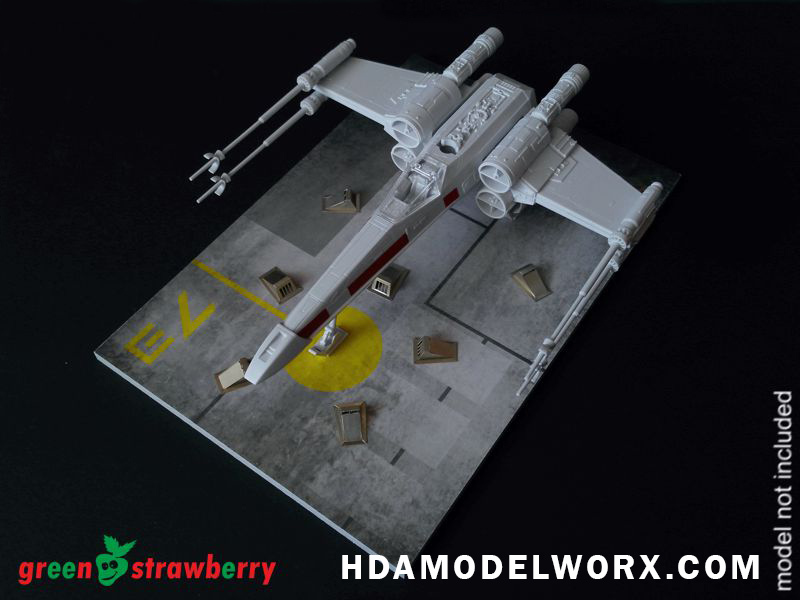 Works great for Bandai 72 scale kits such as the X-Wing!